Make Your Party A Success With Colour-Changing LED Lights! If you’re in the process of planning a party, you can be sure that nothing will make it go with more of a bang than something from our wide range of colour-changing LED lighting products here at Wholesale LED Lights. These are available in a mains voltage-compatible GU10 fitting in both 3-watt and 5-watt varieties, to replace 30-watt and 50-watt incandescent bulbs respectively. Similarly, large Edison screw cap, or ‘E27’ LED Blubs are available, with both the 3-watt RGB LED and the 5-watt Globe Bulb also boasting a remote controller. For lovers of the traditional bayonet fitting, there’s the B22 RGB LED Globe which is also great for creating mood lighting or accentuating a room’s special features. Each of these superb LED bulbs is equipped with an IR (infra-red) sensor, and are fully controllable with the Magic Lighting Remote Control that’s supplied free of charge. 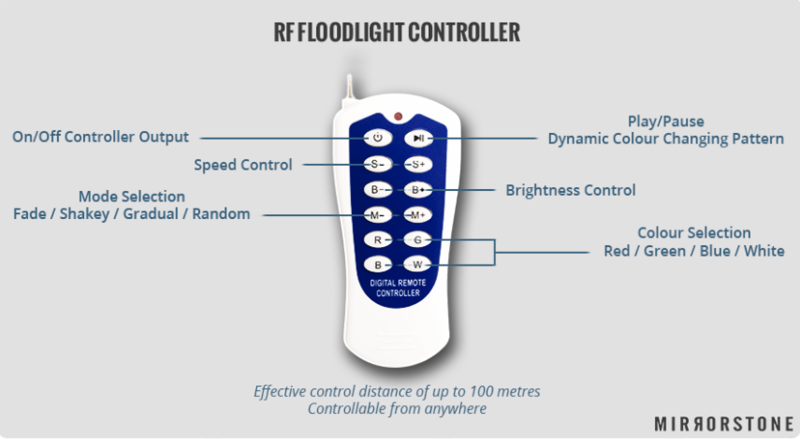 The three colours and variable brightness, speed and mode settings can all be combined to create 16 fun, dynamic effects which comprise strobe, flash, smooth and fading from one colour to the next. A cool white (6000K) colour temperature setting also makes the bulbs equally suitable for everyday use. These superb RGB LED Floodlights are weather-proof, having a high IP65-Rating, and they’re available in 10-watt, 20-watt, 30-watt, 50-watt and 100-watt varieties, they’ll be the perfect LED replacements for your existing, wasteful halogen outdoor floodlights. Like all of our LED lighting products, these RGB LED floodlights boast a 50,000 hour expected life-span, so their light will be gracing your parties and outdoor gatherings for more than 17 years to come! If you’re on the lookout for a lighting source that’s literally more flexible than any other, look no further than our variety of colour-changing RGB LED Strip Lights. These great strip lights are available in both 3528 and 5050 chip sizes, so you’ll be able to decide exactly the brightness of light you require. And, for the ultimate in convenience, they can be had in lengths ranging from 1-metre right up to 5-metres as part of our range of incredible RGB LED Strip Light Kits. These kits come complete with a reel of LED tape, as well as an IR (Infra-red) remote controller and an appropriately-sized Plug-and-Play power adaptor. 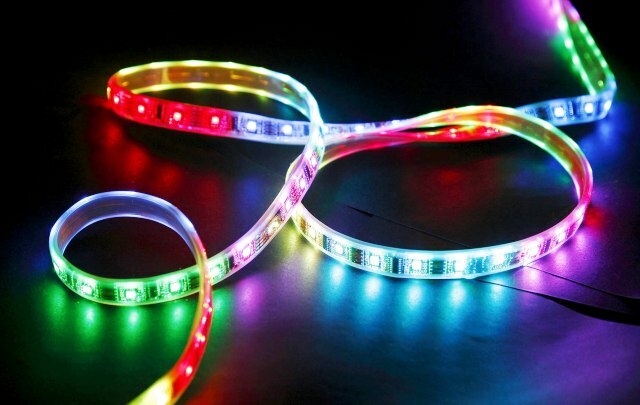 All of our RGB LED Strips can easily be cut to length and feature a 3M self-adhesive backing for quick installation. Use them for stunning party illumination, as well as in more subtle and hidden lighting applications, beneath kitchen cabinets, along pelmets or even outside in the garden, provided you choose the correct Ingress Protection-Rating, of course! You’re probably aware by now that LEDs require very little energy. Up to 90% more energy-efficient than traditional light sources, none of the amazing types mentioned here will cost a great deal to run. This means you’ll really be able to go to town on the lighting effects for your next party, without worrying too much about your impending electricity bill. And, as they produce very little heat, LEDs won’t cause damage to your expensive fabrics and furnishings, or burn inquisitive fingers, should they be touched accidentally. So, if you’re planning a party or preparing for Christmas, think LED! If you’d like any LED light-related help or advice, give one of customer service advisers a ring on 0116 321 4120, or send an e-mail enquiry to cs@wled.co.uk today. This entry was posted in Seasonal, LEDs in the Home on 15th October 2012 by Richard Clarke.